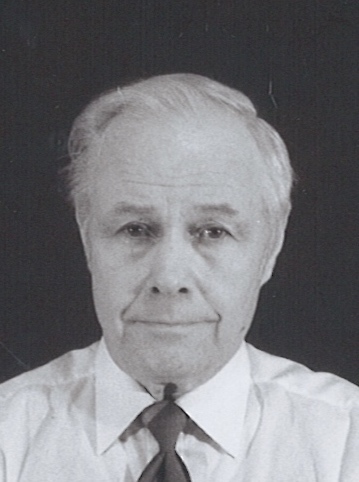 Obituary for Richard W. DeNagel | Norman L. Waterman Funeral Home, Inc.
Lyons - Richard W. DeNagel, 91 passed away on Saturday, February 9, 2019, at Wayne County Nursing Home with his brother by his side. Family will greet friends Thursday (Feb. 21) from 10 -11 AM at Newark First United Methodist Church, 301 South Main Street, Newark. Richard's funeral service will follow at 11 AM. Burial will be in East Palmyra Cemetery in the spring. In memory of Richard, in lieu of flowers, please consider donations to Newark First United Methodist Church, 301 South Main Street Newark, NY 14513. Richard was born the son of the late Cornelius and Margaret (Wiemen) DeNagel on Wednesday, August 10, 1927. He spent his life in the family home in Newark and worked for the Wayne County Department of Weights and Measurements until his retirement. Richard attended the United States Merchant Marine Academy in Kings Point, NY prior to joining the Army. He was a WWII Veteran. Richard was an avid traveler to 49 out of the 50 states and enjoyed any and all types of racing and antique cars. Richard was also a passionate photographer and enjoyed taking pictures of boats and water ways. Richard will be remembered by his brother, Stephen DeNagel; cousin, Eugene DeNagel; and several friends at the Demay Continuing Care Facility and Wayne County Nursing Home.